I have a new snacking obsession and can happily report that unlike some of my others, this one is entirely virtuous. Kale chips aren't a new invention and are popular among health enthusiasts, raw foodists, and vegetarians. I am none of those three, but I really do love these. Fresh kale is rinsed and dried, then tossed with a drizzle of olive oil and a hint of seasoning. I like mineral-rich Celtic sea salt, but have also toyed with other seasonings--cayenne pepper, Old Bay, a shower of cracked black pepper and found all lovely. The crisp chips take about 30 minutes to prepare and bake (really, it's not baking; it's drying) and disappear in mere seconds. 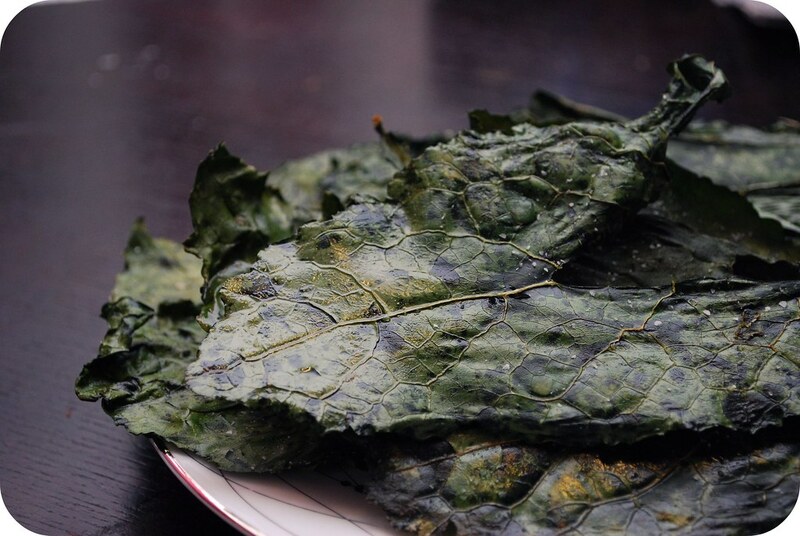 Light as air and nori-thin, with just a hint of earthiness and (of course) that addictive salinity; I was able to consume two entire bunches of Lacinato kale during a single episode of The Office. It's January and we're all still being good. Sticking to our resolutions. Making declarations for the year. These detox and resolution-friendly chips might be just the thing to keep us going a few weeks longer than usual. I photographed these for Day 5 of my Project 365, in which I photograph one new and different thing a day, every day, for the entirety of this year. There are a lot of us doing it, sharing support and secrets and things we didn't know about each other with each photo. 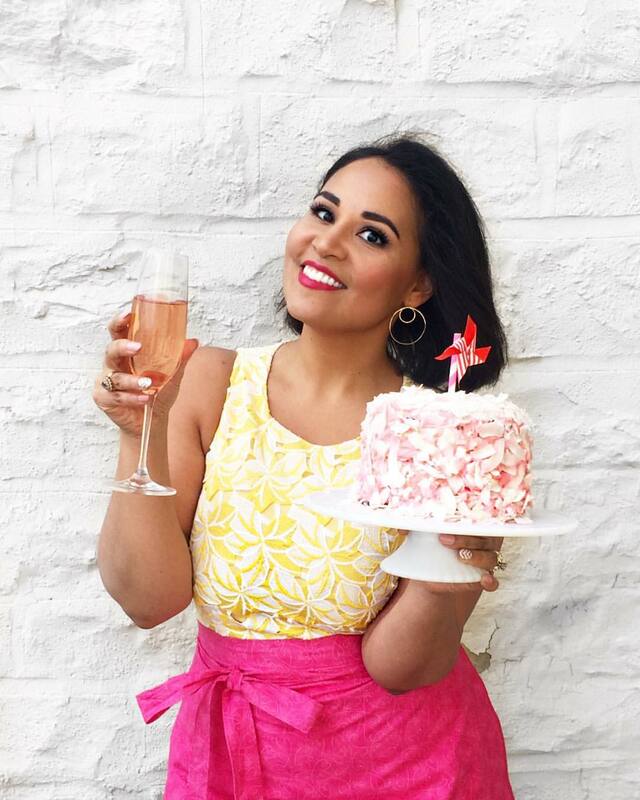 There is even a group just for food bloggers who have taken on the challenge (thanks to the lovely and talented Shannalee of Food Loves Writing). And yes, since you must be wondering, I did change the look of things here a bit. The macarons are resting in a folder on my hard drive in order to make way for something a little different. I know you might miss them, but I hope you'll appreciate the fresh coat of a paint. It's a sign of good things to come, I'm sure! Tear the leaves off the thick stems of the kale. Toss in a bowl with a drizzle of olive oil and a sprinkle of salt. If you're adding any additional spices, add them now. Toss to make sure the leaves are well coated. Arrange in a single layer on parchment paper-lined cookie sheets. Pretty new header! It's about time you got rid of the "mediocre" food photography bit. Your photos really are beautiful. It's January and i'm still being as bad as I was in December. I made a boozy chocolate mousse and now I think it's about time I make a snack that's light and nutritious (and crunchy!) like your kale chips. So why is it aka dinosaur kale? Aw, thanks and yay for P365! Oh and I love the new header! It is perfect. I noticed that pic from your last post, and really liked it. Love it as the new header. These kale chips are amazing. I'd never thought of drying the chips in the oven. I have to try this next time we get a kale-like green at our weekend market. I just posted on kale chips too. : ) We are totally hooked ~ they are soooo delicious! what a great idea! I am really trying to keeping my snacking healthy as I try to lose the last of the baby weight I put on during my back to back pregnancies and these look wonderful! I like your new header and I really love your new tag line- because I never thought that your photography was mediocre! These look absolutely amazing! I've started snacking on green bean chips which you can buy from central market or whole foods but im very curoius on how to make them. I'm new here, but the kale chips look amazing. Heading to the Winter Market tomorrow to get several bunches of kale. Do you think I can dry these out in my convection ovens? Or will they start to blow all around?? I made the kale chips in the convection with the fan on low without a kale storm. Kale chips, huh? Very interesting! And good luck with your 365 challenge, I'm impressed!